The following is a list of new and decided planning applications from the past week by Limerick City and County Council. Tap on a point on the map to learn more about any application or scroll down to find applicant and development description information. Development Address: Dromlought, North Circular Road, Limerick. Development Address: 33 Strandville Gardens, O'Callaghan Strand, Limerick. Development Address: Lavalla Lodge, Scart, Ballysimon, Co. Limerick. Development Address: Killeedy South, Ballagh, Co. Limerick. Development Address: 67/68 Catherine St., Limerick. Development Address: Gortnagross, Athea, Co. Limerick. Development Address: Killonan, Ballysimon, Co. Limerick. Development Address: Ballycormack, Shanagolden, Co. Limerick. Development Address: Athea Lower, Athea, Co. Limerick. Development Address: Carrigeen, Croom, Co. Limerick. Development Address: Bawnmore, Ardpatrick, Co. Limerick. Development Address: 31 Parkview Drive, Greystones, Limerick. Development Address: Heathfield, Ballinruane, Kilmeedy, Co. Limerick. Development Address: 25 Ashleigh Wood, Monaleen, Co. Limerick. Development Address: 28 Glenview Gardens, Farranshone, Co. Limerick. Development Address: Martinstown, Kilmallock, Co. Limerick. Development Address: Corcamore, Clarina, Co. Limerick. Development Address: 3 Glenanaar Avenue, Woodview Park, Limerick. Development Address: Clarina Retirement Village, Clarina, Co. Limerick. Development Address: Abbey River Court, Sheep St. and Seamus O'Cinneide St./Northern Relief Road, Limerick. Development Address: Crean, Athlacca, Co. Limerick. Development Address: Ballycummin, Caher Road, Mungret, Co. Limerick. Development Address: Friarstown, Grange, Kilmallock, Co. Limerick. Development Address: Drewscourt East, Ballyagran, Kilmallock, Co. Limerick. Development Address: Marine Cove, Ballynacragga North, Foynes, Co. Limerick. Development Address: Ballynacourty, Kilfinane, Kilmallock, Co. Limerick. Development Address: Ballywilliam, Rathkeale, Co. Limerick. Applicant: Board of Management Mahoonagh N.S. Development Address: Mahoonagh, Castlemahon, Co. Limerick. Development Address: Ballinscoola, Hospital, Co. Limerick. Development Address: Grouselodge House, Grouselodge, Ardagh, Co. Limerick. Development Address: Docklands Business Park, Dock Road, Limerick. Development Address: 119 O'Connell St., Limerick. Development Address: Dromtrasna Hartnett, Abbeyfeale, Co. Limerick. Development Address: Blossom Hill, Rathkeale, Co. Limerick. 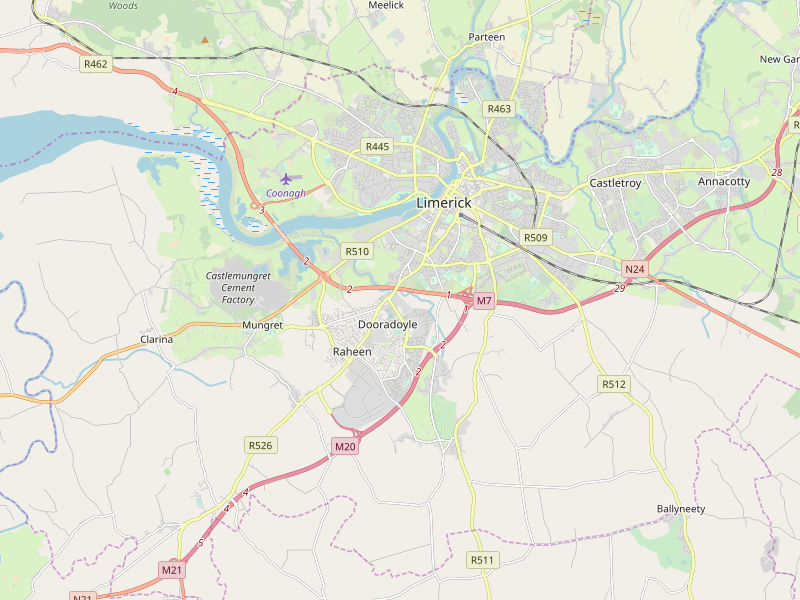 Development Address: Ballyanrahan West, Patrickswell, Co. Limerick. Development Address: Elton, Kilmallock, Co. Limerick. Development Address: Kilbeg West, Kilfinny, Adare, Co. Limerick. Development Address: Renvyle, 2 Castleview Gardens, Clancy's Strand, Limerick. Development Address: Conigar, Askeaton, Co. Limerick. Development Address: Cappanahanagh, Murroe, Co. Limerick. Development Address: Daffy's Bar, Wolfe Tone Street, Kilmallock, Co. Limerick. Development Address: Mountfune, Murroe, Co. Limerick. Development Address: Pearce Rd., Raheen Business Park, Raheen, Co. Limerick. Development Address: Bohercoyle, Crossagala, Ballysimon, Co. Limerick. Development Address: Pearse House, Pearce Road, Raheen Business Park, Raheen, Co. Limerick. Development Address: Barnesmore, Rivers, Annacotty, Co. Limerick.